Advanced Integration (Advint) is a Veteran Owned Small Business (VOSB) focused on test & measurement , process automation, and control solutions. We are a system integrator of automated test and data acquisition systems for military and Original Equipment Manufacturer (OEM) applications which provide factory to field support. Advint products provide functional and in-circuit test of avionics and electronics, as well as other automation solutions. Our team possesses a wide variety of software and hardware design skills coupled with a wealth of system integration expertise. The firm specializes in development of turn-key solutions which leverage Commercial Off The Shelf (COTS) hardware and software to create the desired application. Our typical system provides advanced software control of state-of-the-art hardware packaged in a custom enclosure. We also provide build-to-print manufacturing services. Advint is a leading National Instruments (NI) Gold Alliance Parnter, a Keysight Technologies Solutions Partner, and Huntron system integrator. We have extensive experience in developing and deploying test and measurement solutions for a wide variety of weapon systems and full spectrum of associated avionics/electronics. 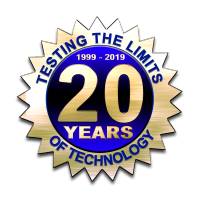 We are industry leaders in the design, development, integration, test, and support of automatic test and data acquisition systems. Our team has been involved with the development of Automatic Test Equipment (ATE) and Test Program Sets (TPSs) that provide functional test and diagnostics of avionics for the AIM/RIM-7M Sparrow missile, AGM-130/GBU-15 guided munitions (smart weapons), B-1 and B-2 bombers, C-5 transport, and F-16 fighter. The company has developed the rugged portable Universal Mobile Tester (UMT) for the military's Joint Biological Point Detection System (JBPDS), NASA's Space Shuttle and ARES launch vehicles, Boeing's new 787 Dreamliner aircraft and P-8 Poseidon Multimission Maritime Aircraft, and the F-35 Joint Strike Fighter (JSF). We are also involved with a wide variety of solutions that support the automotive, chemical, energy, HVAC, medical, paper, pumps, sensors, telecom, turbine/compressor industries as well as other commercial electronics test applications and industrial automation. The company was established in 1999 and co-founded by Paul Salopek Advint's chief executive. We offer small company responsiveness with large company capabilities. Our facility is located in Columbus, Ohio and we deploy & support systems around the world.